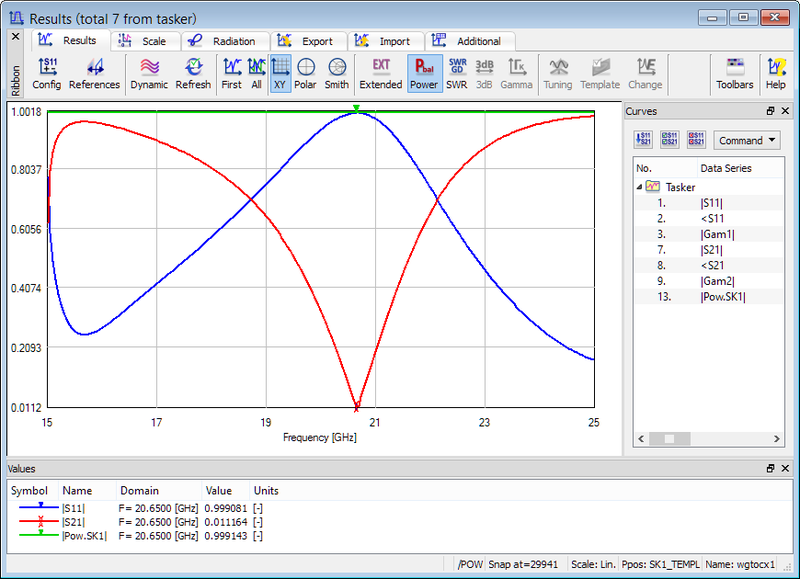 Power balance post-processing is active for S-Parameters post-processing and allows one to calculate the balance between power entering and leaving the N-port circuit through the ports. In other words, the power balance post-processing gives the user the information about what part of the power injected into the circuit is dissipated in all defined ports. 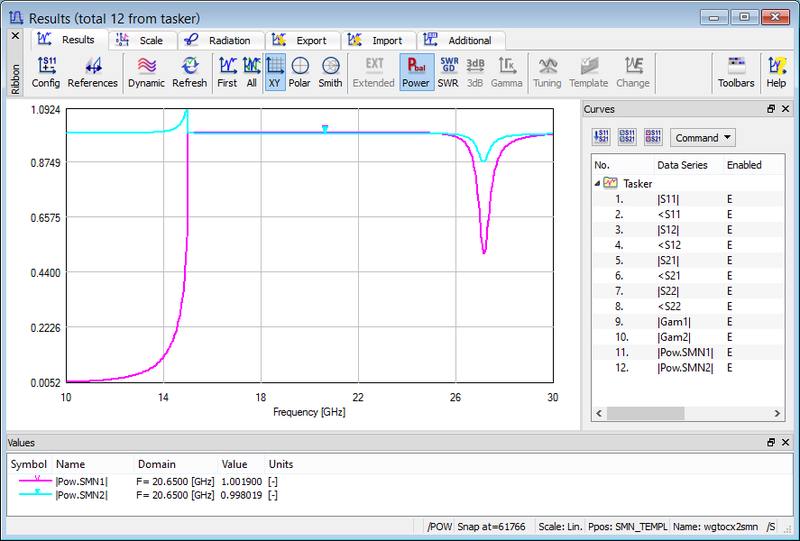 In QuickWave the power balance can be observed in the Results window and have two different definitions depending on whether the Extended Results option is off or on. Power Balance results contain one curve of name |Pow.SK1| for S-Matrix results and Extended Results off. 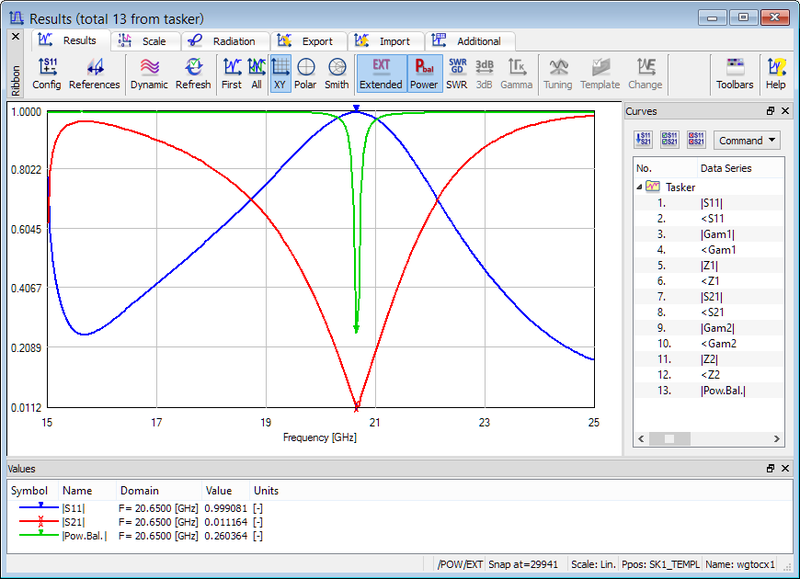 Power Balance results contain one curve of name |Pow.Bal| for S-Matrix results and Extended Results on. Power Balance results contain one curve per port of name |Pow.SMNN| for full S-Matrix results. See also online documentation about Power Balance.